If you’re following my posts this month, you know I am giving away some great resources that will grow your relationship with God. The first two were focused on our daily, devotional time with Him. This week I’m taking things a step deeper. When I was young, my mom taught me how to have daily devotions. Eventually she explained that “devotions” are not enough to grow a strong, solid relationship with God. We need to go deeper–in Bible study. What is the difference between “devotions” and “Bible study”? Devotions, or quiet times, are simply quiet moments alone with God, usually at the beginning of the day. 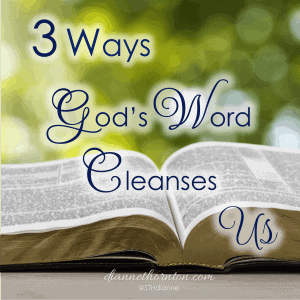 They include a time of prayer, Bible reading, and maybe some journaling. Sometimes I use a devotional book. You can check out my favorites here. For me, this takes anywhere from 15-30 minutes–depending on how much time I have, or how my heart is drawn into the Word. But Bible study is different. It takes more time. More focus. What was God saying to the original audience? What did it meant to them? What does it means to me today? Are there repeated thoughts or words I need to focus on? Do I need to change the way I think, speak, or act? You might use a workbook that guides you through this process. Or, you might do it on your own on read a book of the Bible or several Scriptures on a particular topic. You may be thinking, I don’t have time for Bible study! Devotions already take 15-30 minutes out of my day. How long does Bible study take? I don’t want any homework! I get it! We’re all busy! So why? Why should we invest time in Bible study? We spend time with the people we love. When we make a new friend, we spend time with them in order to get to know them better. The more we enjoy them, the more time we spend with them. Its’ the same way with God and the Bible. God wants to have a close, personal relationship with us. He is revealed in the Bible, and the way to know Him better is to spend time in His Word. 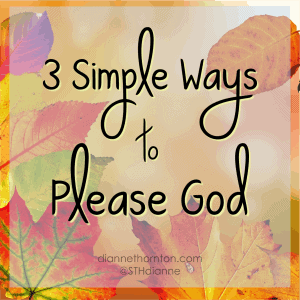 God’s desire is for us to have a satisfying, fulfilling life. Not an easy life. But one full of meaning and purpose. As we get to know the Lord, we experience a relationship like none other. 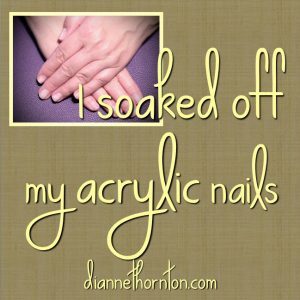 There are many Bible studies on the market and lots of creative Bible study methods floating around Pinterest. Search “Bible study methods,” “Bible journaling,” “verse mapping” to get started. 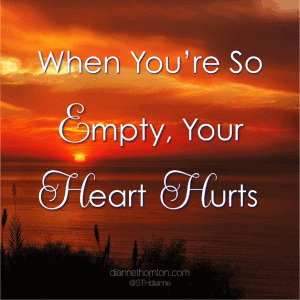 The Bible study I want to share with you this week is another one written by Catherine Martin. 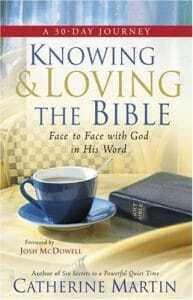 Knowing & Loving the Bible: Face to Face with God in His Word. 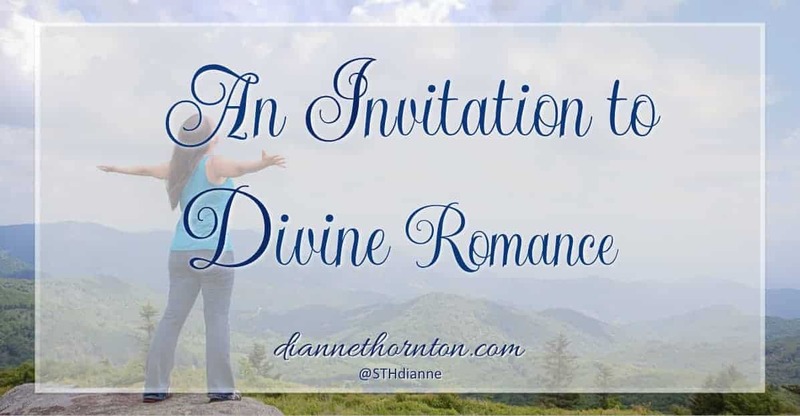 In this 30-Day Journey, Catherine describes the divine romance that Bible study can bring. We meet God in the Bible. The more time we spend with Him there, the more we know Him and His ways. The better we know God, the more we love Him. 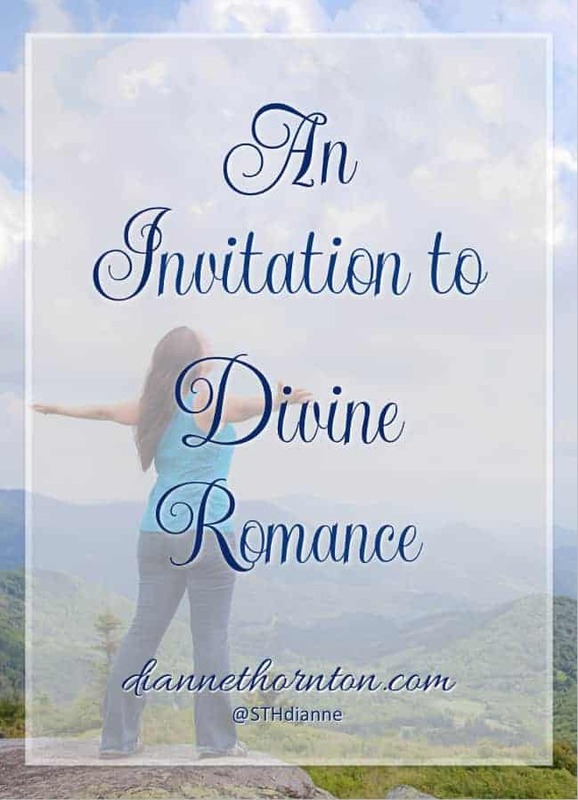 Catherine teaches you how you can experience and enjoy this divine romance. The first days are devotional in nature. The last day is an in-depth study using her P.R.A.Y.E.R. method. One of the reasons I love Catherine Martin’s books is because she understands the difference between “devotions” and “Bible study”. I love how she puts the two together in her 30-Day Journeys. This is the third in a series of give-aways this month. 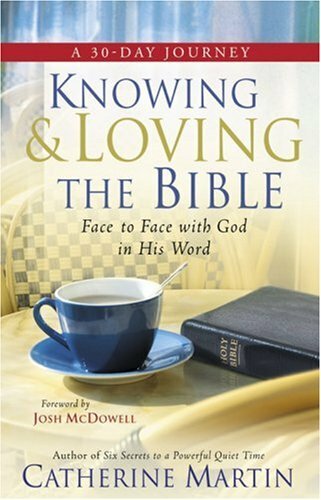 If you would like the opportunity to receive a free copy of Catherine Martin’s Knowing & Loving the Bible: Face to Face with God in His Word, either subscribe to my newsletter, or comment on this post! The drawing will be next Thursday, September 28! UPDATE: Congratulations to Amanda W.! Sounds like a great study and I love the cover too! I’ve learned so much by digging into the Bible. There’s so much to learns. I like how you said Catherine puts devotions and Bible Study together. I like the cover, too, Valerie. Makes you want to crawl up in a comfy chair. Thanks, Dianne. This is the second time this week I’ve read something about our time with God being about relationship — the other time was in a book I”m reading called Unseen. He really does call us into fellowship and love – and our time with Him is all about building that bond.